The unique quirks and particulars of Shopsins (and owner, founder Kenny Shopsin), the grocery-diner-restaurant-establishment-institution is exactly what makes them heroic. Straightforward, honest and deadpan simple with unmatched genuine humor, everything it embodies exists as strokes of genius. Luckily for us, the genius is now shareable. 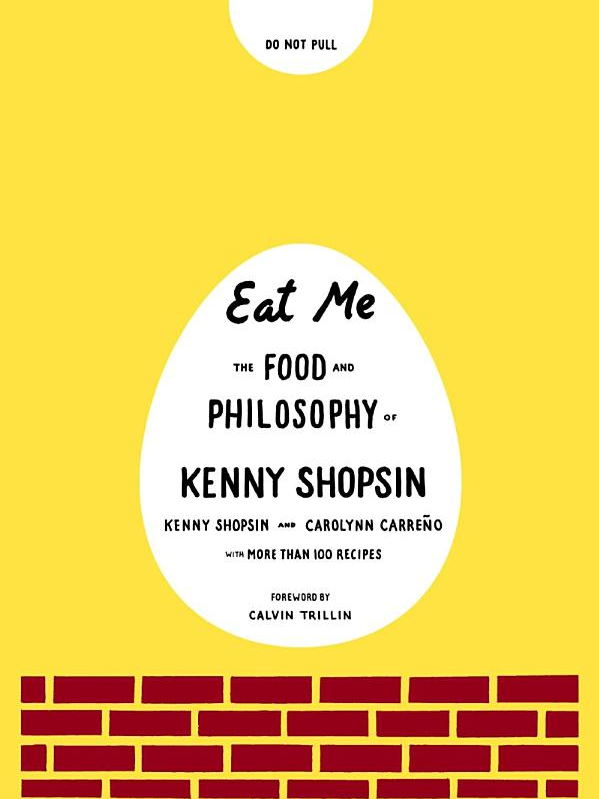 Listen here to an interview with the great Kenny Shopsin. (excerpt from Eat Me) "In a Goodnight Moon world, its' pretty easy to be a good home cook. It's really not about having some terrific skills or exotic ingredients or expensive high-tech equipment. It's not even about having the right secret recipe. To be a good cook, to turn out good, honest food that satisfies your individual tastes, it's all about having the kind of confidence and self-awareness that comes from Goodnight Moon living, in which you are happy with what is already in your life. "